Fume Extractors | R.J. Kates Co. 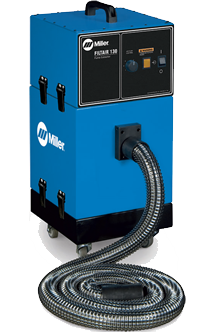 The Miller FILTAIR™ 130 weld fume extractor is a portable, high-vacuum system ideal for contractors, MRO, light manufacturing and fabrication shops. 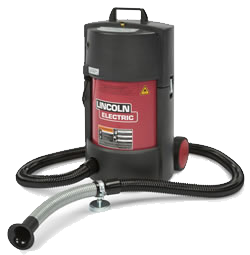 Its designed with 132 CFM and a high-efficiency cartridge filter to collect weld fume particles at the source. Having the highest performing filter in the industry will last longer and capture the smallest sub micron (less than 1 micron) particles. Miller’s filter is manually cleanable and the unit features a fume collection tray to minimize maintenance. Its also one of the quietest portable systems in the industry at 68.5 dBA at 5 ft (1.5 m).